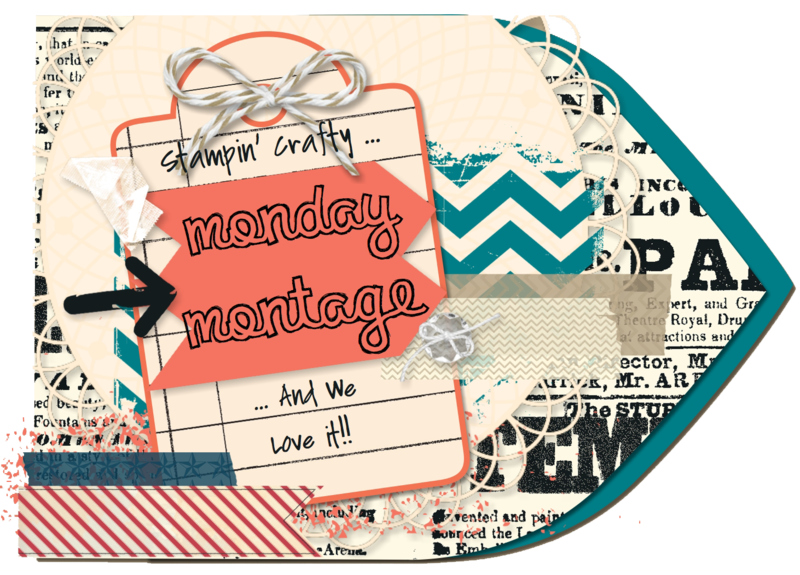 My post for today's Monday Montage Blog Hop is all about cool stuff. To start I have black watercolored stripes on Shimmer White Paper. 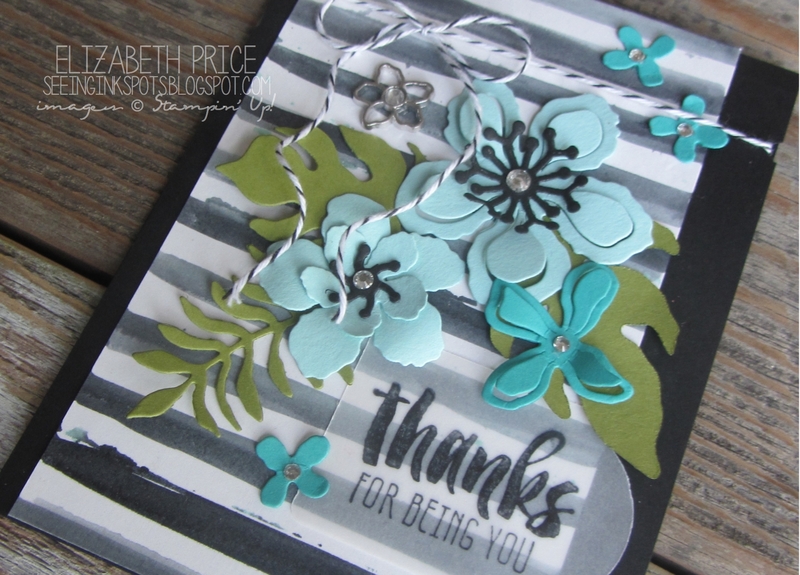 I made them by using an Aqua Painter, Momento Ink Refill, and the Stripes Stencil. To easily make great looking stripes try using a stencil as a guide. The stencil kept my stripes straight and fairly evenly spaced yet I still have that hand painted/not so perfect look. 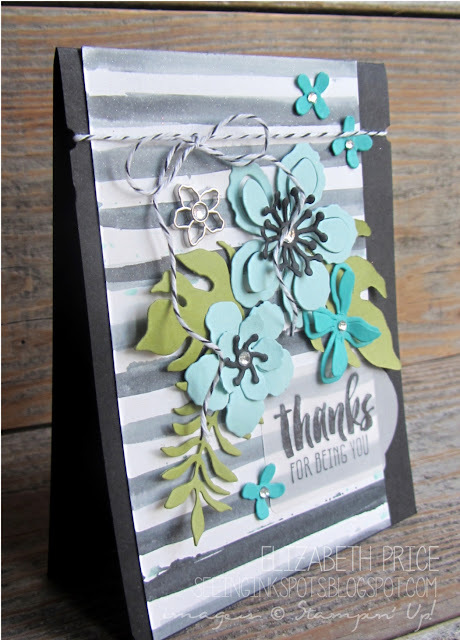 Filling the card front I have arranged a bouquet of teal and aqua Botanical Builder Framelit flowers along with a Botanical Jewel and Basic Rhinestones. Giving the card a sweet style I used an image from the Suite Sayings stamp set on Vellum Card Stock and a Basic Black Bakers Twine bow to tie it all up. So cute Elizabeth! We were both thinking botanical today :) Love your color combo! What a beautiful card! I love the black stripes! I love your black, watercolored stripes! And the beautiful blue flowers look so pretty against them. 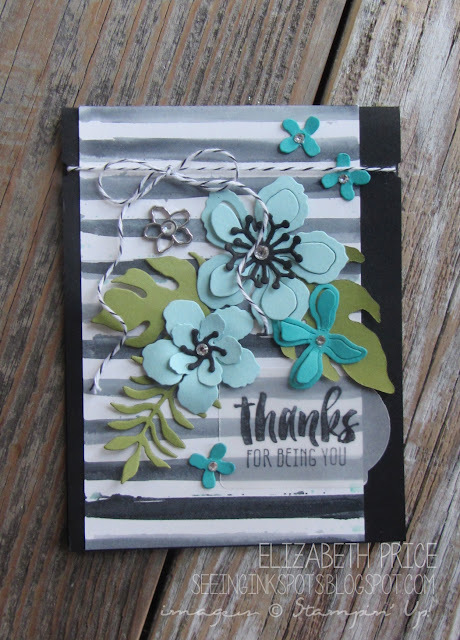 Love the watercolor stripes and the blue flowers!